Please be offended–be offended by the title, be offended by the behaviour of the characters, by the way the author plays with history, with the literary history of Russia and Yiddish culture, but be really offended by the way Stalin treated so many of the citizens of the Soviet Union. If you are the ending will satisfy you, and bring a fantstical catharsis to the way you think about Uncle Joe the next time you think about him. This is a funny book. Funny in a Coen brothers way–as people are murdered/righteously killed by these actors and clowns. It’s a violent book. It’s a riotous joy to read. 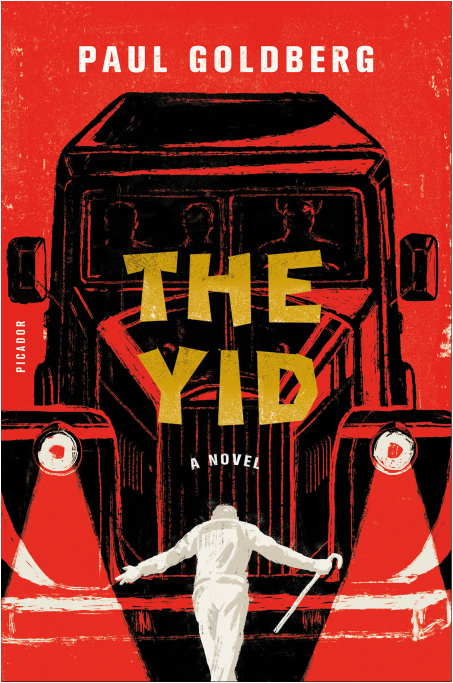 “‘The Yid’ doesn’t play nice. In fact, it plays fast and loose with history as well as with conventional approaches to writing about anti-Semitism and genocide. This entry was posted in Anti-Semistism, Novel and tagged Paul Goldberg, Soviet Jews, Yiddish Theatre. Bookmark the permalink.